Rev. 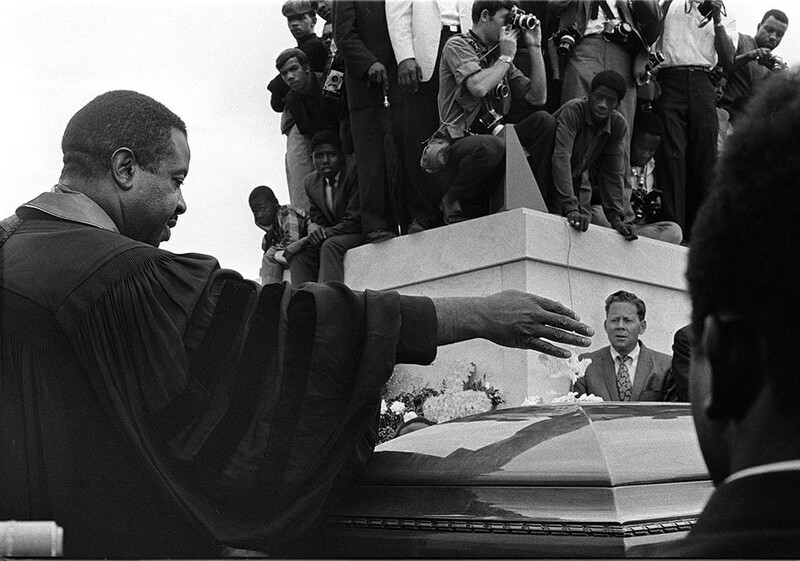 Ralph Abernathy scatters flowers over the casket of Martin Luther King Jr during burial rites in Atlanta, Georgia, on April 9, 1968. From 1956 to 1968, Jim Peppler worked for the Southern Courier, a nonprofit weekly Civil Rights newspaper serving Alabama, Mississippi, and Georgia. During that time, he shot thousands of images, which are now part Jim Peppler Collection at the Alabama Department of Archives and History. On January 13, Peppler, now living in the Hudson Valley, will be donating a series of his Civil Rights photos to the permanent collection of the A. J. Williams-Myers African Roots Library in Kingston. At the event, from 5 to 7pm, Pepppler will discuss his work and the struggle for equality he witnessed in the South in the late '60s. Two men helping a woman on crutches, probably after voting in a building in Lowndes County, Alabama.